So the mystery has been solved. That flaming fireball seen traveling through the UAE sky on Monday night wasn't quite what we all thought, "and no, it was not Superman either", a Dubai astronomer has confirmed. First spotted over Abu Dhabi at 7.35pm, visuals of an apparent "fireball" had social media users going crazy over the unusual object. But Hasan Al Hariri, CEO of Dubai Astronomy Group, clarified to media on Monday that it was, in fact, space junk -- and not a meteor, falling plane, or asteroid, like many thought. Now what's that, you might be asking. Simply put, it's a Russian cargo spacecraft used to re-supply the International Space Station (ISS). 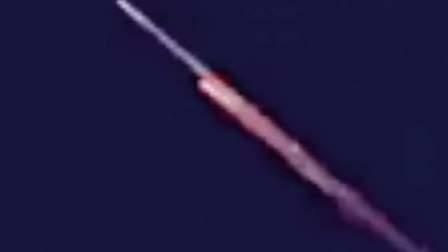 Though callers were skeptical when Al Hariri confirmed it was the remnants of a spacecraft seen lighting the night sky, he said all the evidence has confirmed the sighting. Measuring about 6.5 metres long and 2.5 metres in diameter, he quickly dispelled any talk of it being something more serious. "We didn't issue a statement straight away because we wanted to be certain about what it was. Only when we were sure, did we call this meeting." With many people "jumping to conclusions", Al Hariri reassured that in most cases "these are planned, guided reentries" back into earth. "They will not cause damage as they break up after reentering the atmosphere. Local authorities will only be alerted of reentries if they are coming in at an altitude of less than 100km above ground." The impressive visuals, which are rarely seen in such clear circumstances, lasted approximately 80 seconds, with the second report from Dubai being received at 7.40pm. "UAE residents were very lucky to see this so clearly. It was quite spectacular." The spacecraft reentered the atmosphere at an altitude of 140km above Earth, and disintegrated as expected in the upper atmosphere, before burning up into smaller chunks. "If there was any surviving debris, it would have fallen straight into the Indian Ocean, as planned," Al Hariri said. And for those astronomy enthusiasts on the look out for meteors, he said they would "usually travel much faster, appear a lot brighter and fall at a much steeper angle". So, keep your eyes peeled in the coming months as two impressive meteor showers are expected to light up the skies in November and December, he said.